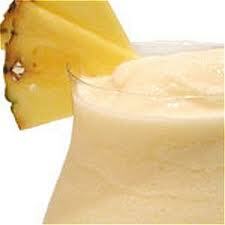 Cool off with this delicious creamy Pina Colada with a Kahlua twist! I love Kahlua. This really steps it up a notch! Pour all ingredients into a blender and blend. Pour into glass and garnish.